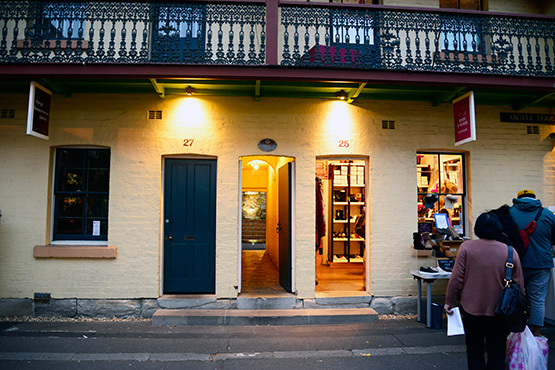 Here is a quirky secret, and it involves some of the most valuable land in Australia. 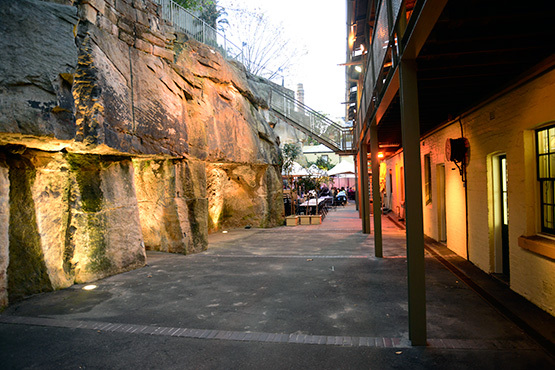 The land in question lies within the small streets and passageways that form The Rocks, the name given to the area that was Australia's first settlement. 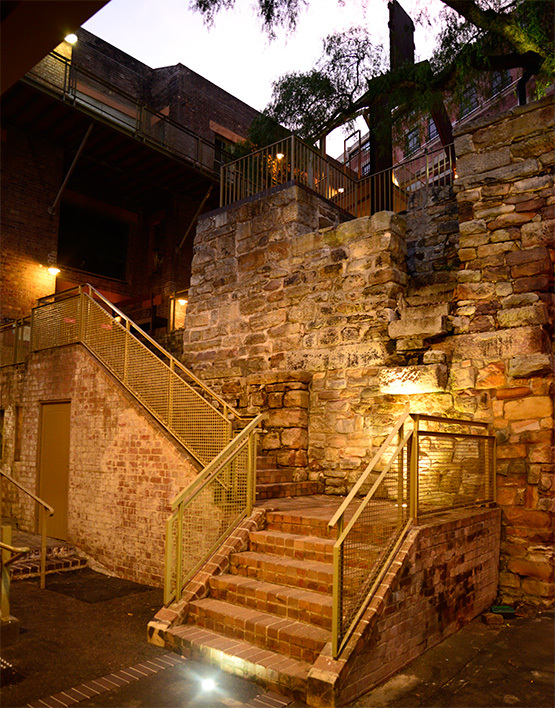 It also lies within a stone's throw of Sydney Cove, arguably the most valuable land in Australia. Most of the land here has historic significance and heritage protection. Even if you could buy land here, and mostly you can't, it would cost you an astronomical amount of money. And yet a small parcel of land sits day in, day out unused, with just the remains of what were once house foundations visible to the eye. Eight houses, to be precise. Or the ruins of eight houses. They were eight houses built into a sandstone cliff between 1874 and 1878. The houses were built on different levels, and each was tiny - about 3m by 3m in size. Apparently The Rocks was such a densely populated area in those times that people grabbed whatever land they could - regardless of size. They were also built on the cheap, which is why they all ended up being demolished in the 1940s. The foundations of the houses, and the compact parcel of land they were squeezed on to, was turned into a park in 1972, aptly named Foundation Park. If you use your imagination for a moment, and look at the footprints of what basically were two-room homes, you can start to comprehend how cramped the living conditions were in those times. But it's not until you learn that married couples in the 1800s had up to 10 children that a real picture emerges of how bad things were for the some of the families that lived there. 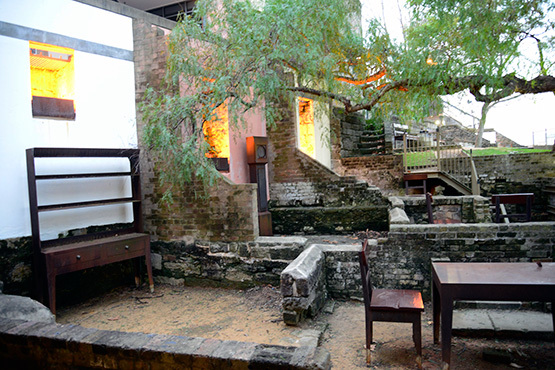 "The exposed ruins illustrate late 19th century terrace house fabric and construction techniques once widespread in inner city Sydney, combined with the preservation methods used in the mid-1990s to retain such fabric and construction techniques. 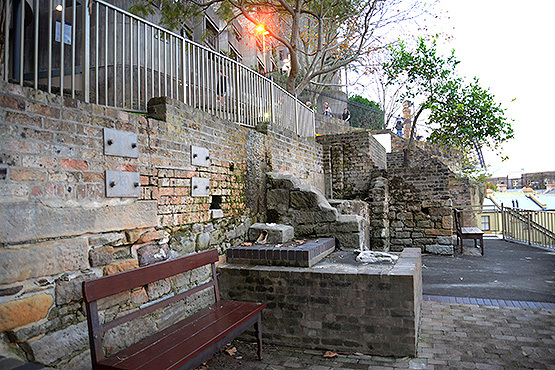 The Park retains important potential to reveal archaeological materials (in its unexcavated sections) related to building and living on such topographically challenging sites, and also materials relating to the earliest period of British colonisation when the cliff face formed the edge of the grounds around the first hospital built in 1788 and the toponym The Rocks first came into use." Low brick walls have been added in recent times to give people a perspective of how small the rooms, and buildings, were. 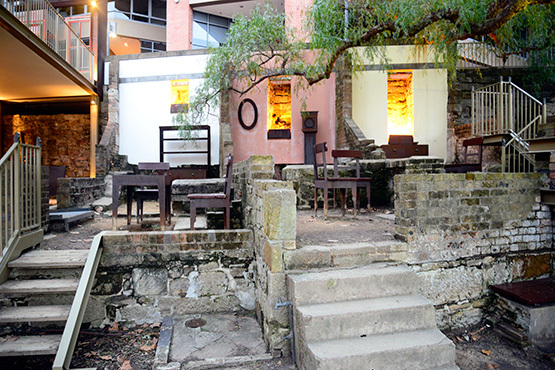 Steel furniture designed by sculptor Peter Cole provides a further glimpse of how cramped the living conditions would have been. The rear of the Argyle Terrace. At the far end is a restaurant, but it's at the other end of the walkway that lies something far more interesting. On the way, you pass this interesting relic from yesteryear. 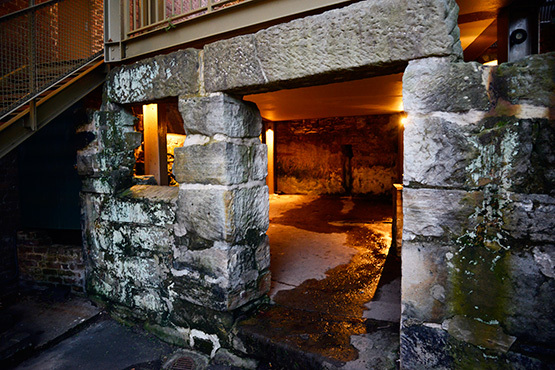 The houses were built on different levels. The first three house ruins have had low brick walls added in more recent years to demonstrate where internal walls would have been and show how people would have lived in the tiny homes.